Over the last 50 years, the people of the developed world have begun to cross into a landscape unlike any which humanity has experienced before. It is a region without physical shape or form. It exists, like a standing wave, in the vast web of our electronic communication systems. It consists of electron states, microwaves, magnetic fields, light pulses and thought itself. It is familiar to most people as the "place" in which a long-distance telephone conversation takes place. But it is also the repository for all digital or electronically transferred information, and, as such, it is the venue for most of what is now commerce, industry, and broad-scale human interaction. William Gibson called this Platonic realm "Cyberspace," a name which has some currency among its present inhabitants. Whatever it is eventually called, it is the homeland of the Information Age, the place where the future is destined to dwell. In its present condition, Cyberspace is a frontier region, populated by the few hardy technologists who can tolerate the austerity of its savage computer interfaces, incompatible communications protocols, proprietary barricades, cultural and legal ambiguities, and general lack of useful maps or metaphors. Sovereignty over this new world is also not well defined. Large institutions already lay claim to large fiefdoms, but most of the actual natives are solitary and independent, sometimes to the point of sociopathy. It is, therefore, a perfect breeding ground for both outlaws and vigilantes. Most of society has chosen to ignore the existence of this arising domain. Every day millions of people use ATM's and credit cards, place telephone calls, make travel reservations, and access information of limitless variety. . . all without any perception of the digital machinations behind these transactions. As communications and data technology continues to change and develop at a pace many times that of society, the inevitable conflicts have begun to occur on the border between Cyberspace and the physical world. What is free speech and what is merely data? What is a free press without paper and ink? What is a "place" in a world without tangible dimensions? How does one protect property which has no physical form and can be infinitely and easily reproduced? Can the history of one's personal business affairs properly belong to someone else? Can anyone morally claim to own knowledge itself? These are just a few of the questions for which neither law nor custom can provide concrete answers. In their absence, law enforcement agencies like the Secret Service and FBI, acting at the disposal of large information corporations, are seeking to create legal precedents which would radically limit Constitutional application to digital media. The excesses of Operation Sun Devil are only the beginning of what threatens to become a long, difficult, and philosophically obscure struggle between institutional control and individual liberty. Information workers, forced to keep pace with rapidly changing technology, are stuck on "the learning curve of Sisyphus." Increasingly, they find their hard-acquired skills to be obsolete even before they've been fully mastered. To a lesser extent, the same applies to ordinary citizens who correctly feel a lack of control over their own lives and identities. One result of this is a neo-Luddite resentment of digital technology from which little good can come. Another is a decrease in worker productivity ironically coupled to tools designed to enhance it. Finally, there is a spreading sense of alienation, dislocation, and helplessness in the general presence of which no society can expect to remain healthy. The "Knows" and the "Know-Nots"
Modern economies are increasingly divided between those who are comfortable and proficient with digital technology and those who neither understand nor trust it. In essence, this development disenfranchises the latter group, denying them any possibility of citizenship in Cyberspace and, thus, participation in the future. Furthermore, as policy-makers and elected officials remain relatively ignorant of computers and their uses, they unknowingly abdicate most of their authority to corporate technocrats whose jobs do not include general social responsibility. Elected government is thus replaced by institutions with little real interest beyond their own quarterly profits. We are founding the Electronic Frontier Foundation to deal with these and related challenges. While our agenda is ambitious to the point of audacity, we don't see much that these issues are being given the broad social attention they deserve. We were forced to ask, "If not us, then who?" In fact, our original objectives were more modest. When we first heard about Operation Sun Devil and other official adventures into the digital realm, we thought that remedy could be derived by simply unleashing a few highly competent Constitutional lawyers upon the Government. In essence, we were prepared to fight a few civil libertarian brush fires and go on about our private work. However, examination of the issues surrounding these government actions revealed that we were dealing with the symptoms of a much larger malady, the collision between Society and Cyberspace. We have concluded that a cure can lie only in bringing civilization to Cyberspace. Unless a successful effort is made to render that harsh and mysterious terrain suitable for ordinary inhabitants, friction between the two worlds will worsen. Constitutional protections, indeed the perceived legitimacy of representative government itself, might gradually disappear. Engage in and support efforts to educate both the general public and policymakers about the opportunities and challengesed by developments in computing and telecommunications. Encourage communication between the developers of technology, government, corporate officials, and the general public in which we might define the appropriate metaphors and legal concepts for life in Cyberspace. And, finally, foster the development of new tools which will endow non-technical users with full and easy access to computer-based telecommunications. One of us, Mitch Kapor, had already been a vocal advocate of more accessible software design and had given considerable thought to some of the challenges we now intend to meet. 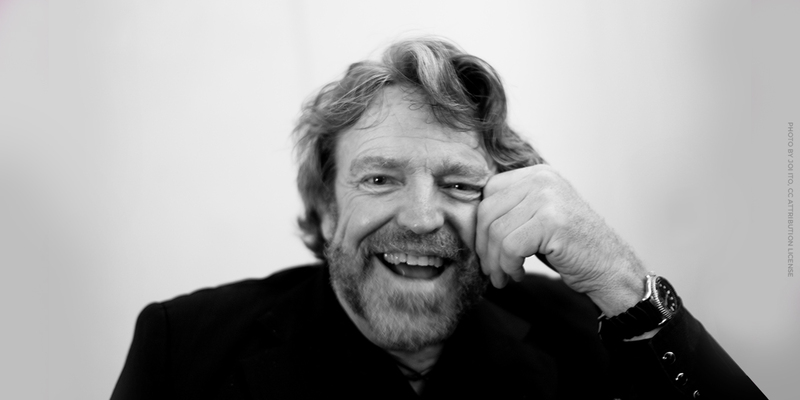 The other, John Perry Barlow, is a relative newcomer to the world of computing (though not to the world of politics) and is therefore well-equipped to act as an emissary between the magicians of technology and the wary populace who must incorporate this magic into their daily lives. While we expect the Electronic Frontier Foundation to be a creation of some longevity, we hope to avoid the sclerosis which organizations usually develop in their efforts to exist over time. For this reason we will endeavor to remain light and flexible, marshalling intellectual and financial resources to meet specific purposes rather than finding purposes to match our resources. As is appropriate, we will communicate between ourselves and with our constituents largely over the electronic Net, trusting self-distribution and self-organization to a much greater extent than would be possible for a more traditional organization. We readily admit that we have our work cut out for us. However, we are greatly encouraged by the overwhelming and positive response which we have received so far. We hope the Electronic Frontier Foundation can function as a focal point for the many people of good will who wish to settle in a future as abundant and free as the present.